Computer GK Sample Question Paper No. 11: Computer GK Sample Question Paper No. 11 as part of Computer GK Sample Papers for Competitive Exams, PSU Exam, State Govt & Central Govt. Examinations held each years. Here is Sample questions asked based on Computer GK in various exams. Q.181 Which of the following holds the ROM, RAM, CPU ? Q.182 Magnetic Tape used _________ access method. Q.183 What is the difference between Memory and Storage? Q.184 The Language that the computer can understand is called _______. Q.187 Basis path testing falls under? Q.188 What is the size of the Unicode character in Windows Operating System? Q.189 Refreshing Dynamic memory means? 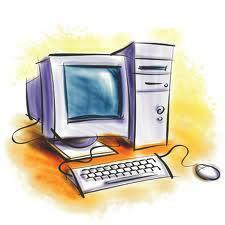 Q.190 ROM is needed for storing an initial program called _______.